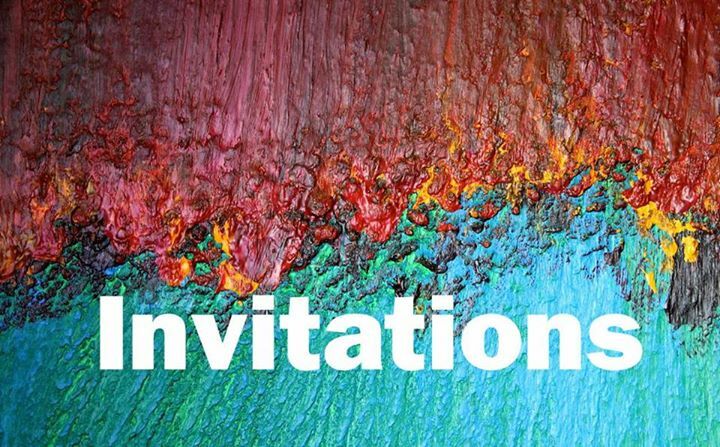 ‘Invitations’ is a visual art exhibition at the Glasshouse Gallery in Kilkenny by thirteen KCAT Studio Artists and thirteen of their peers from ten different countries. Each of the KCAT Studio Artists invited an artist from an organisation with which they have had contact over the last sixteen years. Thomas Barron, Declan Byrne, Francis Casey, Mary Cody, Lorna Corrigan, Sinéad Fahey, Karl Fitzgerald, Jack Foskin, Eileen Mulrooney, Andrew Pike, Jason Turner, Margaret Walker, Fergus Fitzgerald (KCAT Art & Study Centre, Callan, Co. Kilkenny, Ireland), Lisa Schmidt (Cooperations, Wiltz, Luxembourg), Laan Irodjojo (Herenplaats, Rotterdam, the Netherlands), Magnus Östling (INUTI, Stockholm, Sweden, Mary Holohan (Arts Ability, New Ross, Co. Wexford, Ireland), Amber Harriman (In-Definite Arts, Calgary, Canada), Matthew Watson (Pyramid of Arts, Leeds, United Kingdom), Christoph Eder (Atelier de la Tour, Treffen, Austria), Antero Laine (Kaarisilta, Helsinki, Finland),Cameron Morgan (Project Ability, Glasgow, Scotland), John Cull (Rocket Artists, Brighton, United Kingdom), Bettina Arelt (die Schlumper, Hamburg, Germany), Stephen Murray (Cuig Studio, Mayfield Arts Centre, Cork, Ireland)and Pascale Schuster (SKID, Überlingen, Germany).